Description: Perfumed Hair Spray from the 1950s. 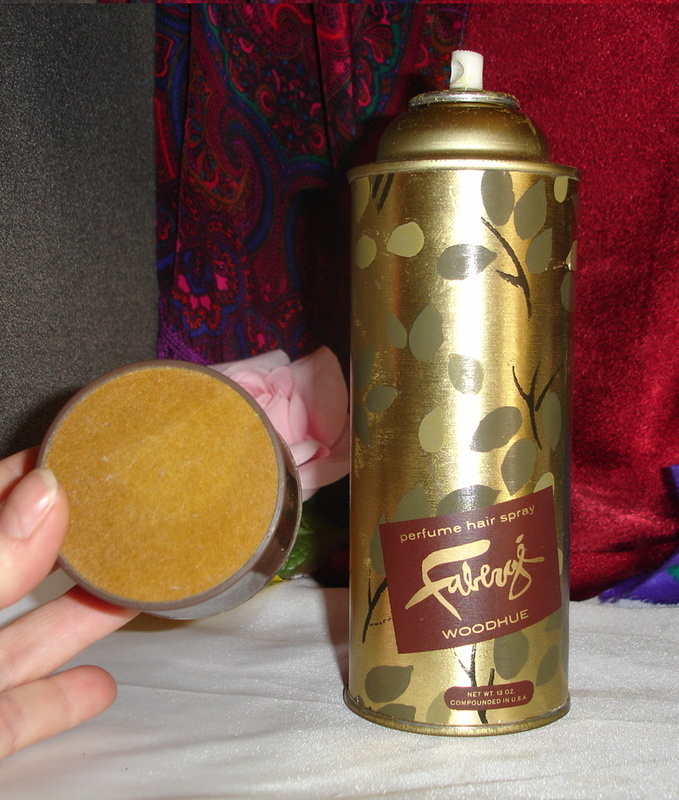 Many people don't know that Faberge was the first to create perfume scented hair spray. This hair spray smelled so wonderful that Aqua Net bought the rights to the formula and began selling it under their own name in the 1960s. 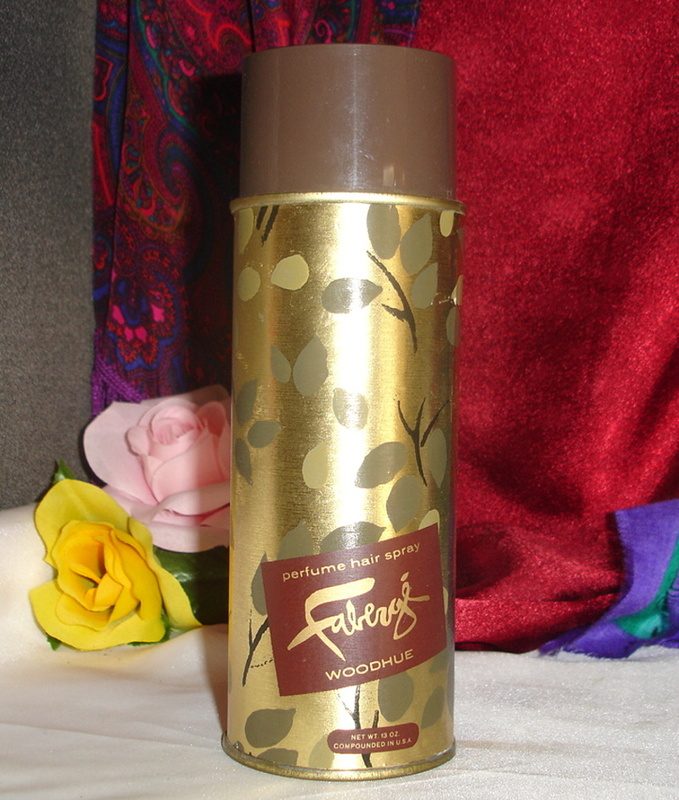 Very few cans of Woodhue Hair Spray are left out there. It smells awesome! 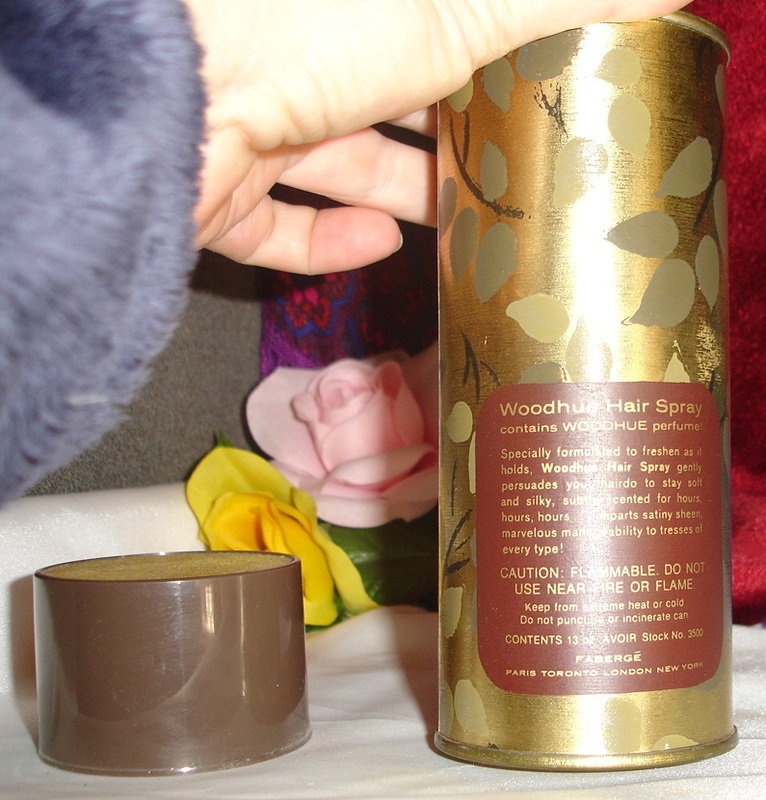 It has no stickiness to it, just the beautiful scent of Woodhue. I have sprayed this can a few times, but I also have a second one unused if someone is interested in it. The unused can would be $45. The top of the cap is velour.